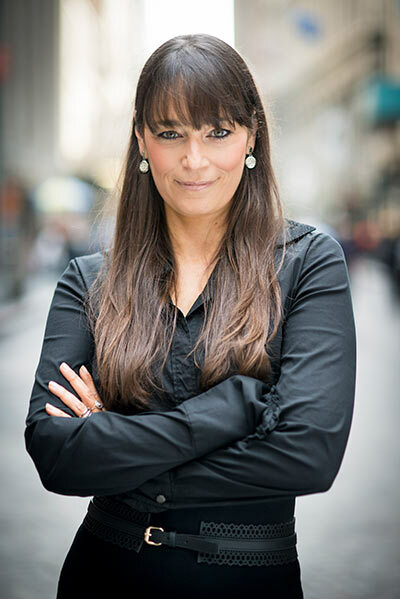 Deborah Bial, founder and president of The Posse Foundation, one of the most comprehensive and renowned college access and readiness programs for urban high school students in the United States, will deliver the 165th College commencement address at the University of Rochester on Sunday, May 17. Founded in 1989 in New York City, The Posse Foundation sends cohorts of 10 high-achieving regional student leaders together to selective colleges and universities. The program currently has 51 top-tier college and university partners. The University of Rochester joined in 2014 and is committed to providing full-tuition merit scholarships annually to 10 qualified entering freshmen from the Washington D.C. area. This past spring, more than 400 Posse scholars earned diplomas from partner colleges and universities nationwide, joining an elite network of more than 2,600 Posse alumni. Ninety percent of Posse students graduate from college, a rate significantly higher than the national average. Bial is an expert in the field of education and leadership development. Her extensive experience in guiding selective institutions toward improved admissions policies has gained her national recognition in the higher education community, including a prestigious MacArthur “Genius” Fellowship from The John D. and Catherine T. MacArthur Foundation in 2007. Bial earned her master’s and doctoral degrees in education with a focus on higher education administration, planning and social policy from Harvard University. In 1999, she received a $1.9 million grant from the Andrew W. Mellon Foundation for her dissertation work, which focused on the design and assessment of a new college admissions tool that could be used in addition to traditional college admissions measures. The tool, an “Adaptability Index,” is used to assess non-cognitive traits that may predict persistence and identify leadership potential. Additional information about University commencement ceremonies and related activities is available at www.rochester.edu/commencement/. The May ceremony will be webstreamed live.